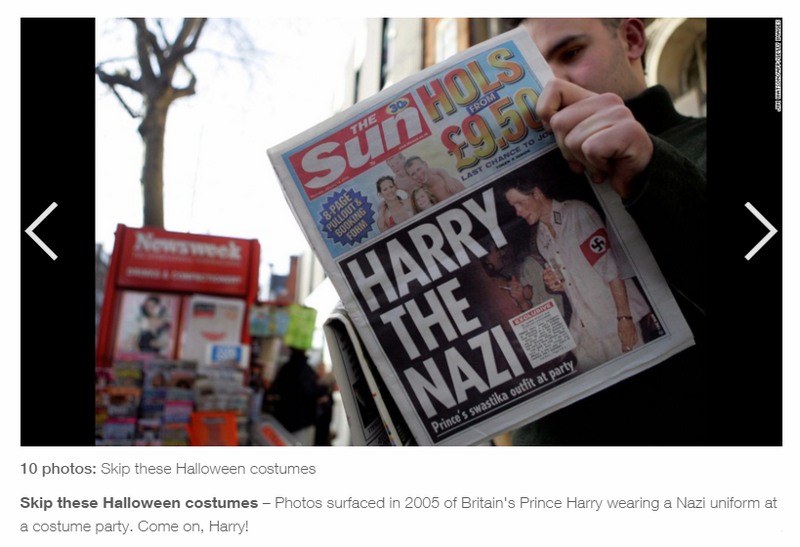 News outlets present the media in different tones, with their use of titles, photos, word usage and tone of delivery. I mean of course, you have different people working at different news networks and then our own biases towards subjects will make us more sensitive to the news we receive. However if it’s the same story why does it seem so different? And does it really make a difference? To answer that question, I guess it depends on who is writing and who is reading OR on who is reading and who is writing. Either way.. the two articles that I am comparing are from FOX & CNN. 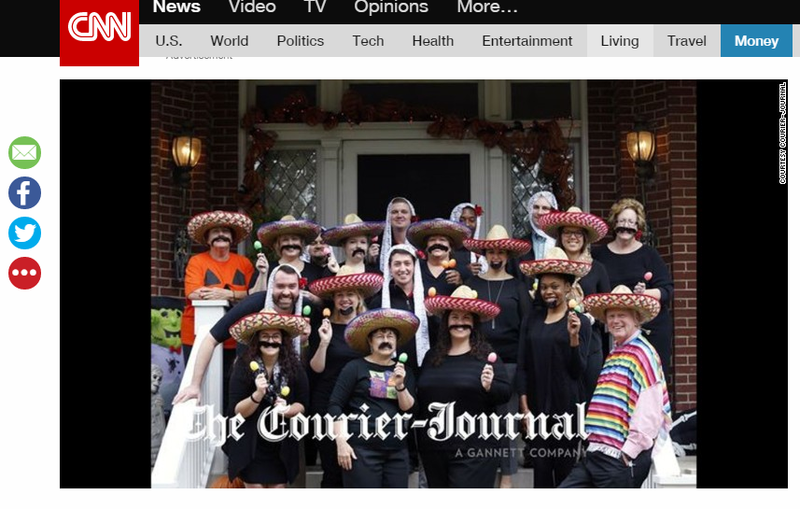 FOX: University of Louisville President Slammed for Halloween Photo in ‘Mexican’ costume. 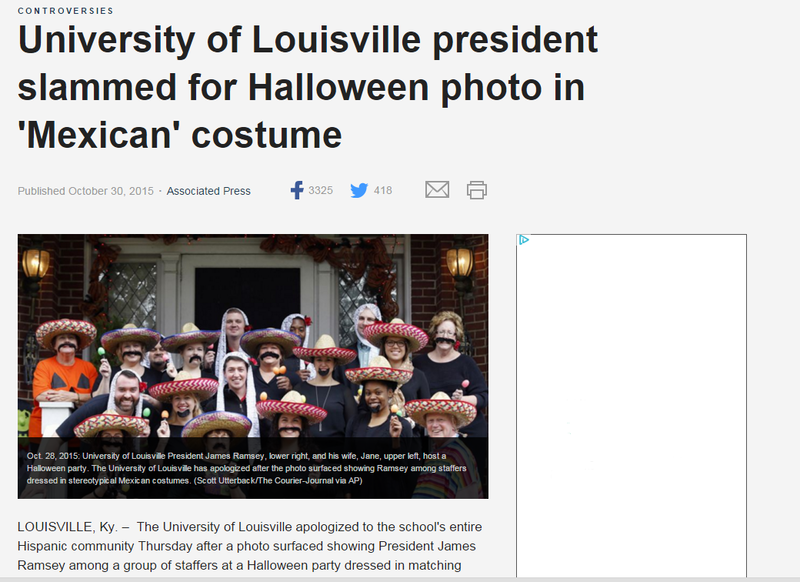 CNN: University of Louisville President Sorry for photo of staff in ponchos, sombreros. With CNN’s title, it mentions that the President is sorry. This is important because it adds an element of care. The staff being mentioned as also being involved is important because it lets the reader know from the title that there were others involved. Contrasting the two, FOX uses the words Halloween & costume, which would make it easier on the mind that ….oh okay well this is only for Halloween CNN’s title does not mention Halloween or costume, it defines it in other terms as ponchos and sombreros. There is a clear difference in the use of word play, one mention the President being “Sorry” & the other mention the President as being “Slammed” Interesting. After reading the title both articles have a photo for your viewing pleasure. FOX promptly displays the University President and his staff. While CNN wants to set the tone. So….in contrast to FOX’s image, CNN’s article decided to give homage to #TBT (Throw Back Thursday) and reminded its readers of past instances when public figures and celebrities misappropriated cultures, religions or races. CNN really wanted to set the tone before showing the photo of the President & his staff. Their photo of the University President and his staff is not cropped and also gives credit to the Courier-Journal. Just so you know there are a total of 10 photos you can flip through. In addition to titles and photos, there was another difference in the text/information that was used. Given these differences on presentation of the same story, Media outlets can spin the story one way or another. Why is this done? Are people being protected? Are people too sensitive? How can I tell if my own bias is skewing the information? Do I have to read multiple articles to get a well-rounded view of the information?